Middle-grade historical fiction tale focusing on Jack and his younger sister Mary. The family lives on a farm in Connecticut. 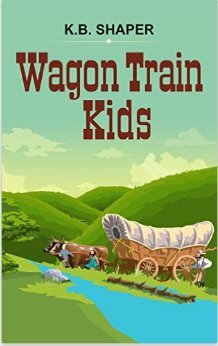 One day the children are shocked to learn that their parents are selling everything and heading West on a wagon train in the hopes of finding gold in the California hills. The author traces the journey as the family heads north to Albany and then west to Missouri. There they meet Mr. Booth, the wagon master who will guide them to California. Shaper goes into detail about the supplies and the preparation needed to prepare for the journey. I do think more time should have been spent describing in detail what the children saw on the journey. In that respect the plot is a bit uneven. One night the members of the wagon train observe someone watching them. Jack and Mary are warned to run if their father signals them. The adventure begins when the children become separated from their parents and are left on their own. A kindly stranger rescues them and brings them into San Francisco, where they work to earn their keep. Will the children be reunited with their parents and what happened to the rest of the members of the wagon train? The story ends abruptly, if satisfactorily. Some readers may question whether telling the children to run and hide and that they will be found when the danger has passed is a realistic scenario. The plot features a traditional nuclear family story with a bit of history about the mid-nineteenth century, but may be short of adventure for some 21st century readers. I would still recommend it as an easy chapter book for early middle-grade readers. Teachers might use it as a read aloud to supplement this period of American history. This weeks’ book review is just in time for Halloween! Another entry in the Amazing Animals series of kindle books. The photos can be enlarged for closer inspection by young readers. I enjoyed this nonfiction book; facts were presented in an easy to read and interesting format. Readers learn what a spider looks like, how they spin webs, the venom they engender, what they eat, and the families in which they live. The book is packed with little-known information. I learned that crab spiders often live in tree trunks and that the diving bell spider lives entirely underwater. Tarantula spiders are even kept as house pets. Some spiders actually live in colonies with as many as 50,000 spiders who hunt and share food together. 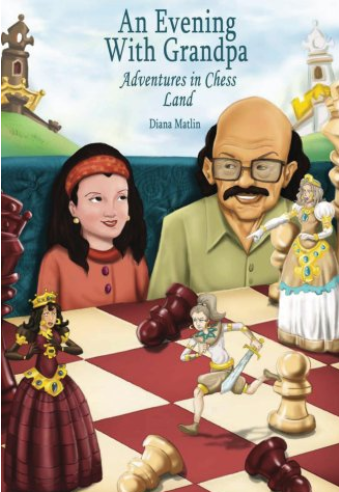 The books in this series are targeted for children ages six through twelve. I would recommend collecting them as good nonfiction resource for the study of animals. Teachers and parents can use them as a starting point in research study. Too bad they are not currently available in print versions. 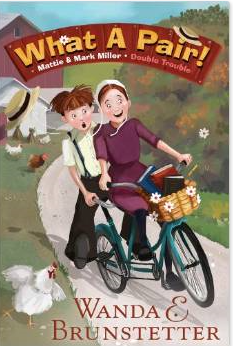 This is the first in a series focused on the Amish way of life and nine year old twins, Mattie and Mark. Targeted for middle grade readers ages eight through twelve, the book is a fun and educational introduction to a way of life misunderstood by most observers. Brunstetter begins by explaining that the Amish are group of people who live a plain life without using many modern things; a simple plausible way to explain to children why they are different but not strange. The author goes on to give examples as to how they live and work both in the past and present. She provides a glossary of the Amish language words which are used liberally throughout the story. Readers will love these feisty twins with diametrically opposed personalities. What they do have in common is a love of life, family, and kind hearts. For example, Mattie is a dreamer, Mark a scholar, Mattie is cautious, Mark an adventurer, Mattie loves dogs, and Mark loves cats. Mattie is a great baseball player, while Mark cringes when he sees a bat and ball. As the reader follows one humorous adventure after another, what comes through is deep commitment to family, society and community, and a story about two children experiencing the same problems any tween faces. The book will appeal to both genders. On their birthday, the twins receive an unexpected gift from their grandparents. This gift will require them to learn how to work together. When an unexpected emergency arises, the twins learn the real value of teamwork. The plot has lots of twists and turns and many different scenarios to appeal to a wide variety of reader interests. Text is interesting and challenging, yet not too overwhelming. Lots of humor, adventure, family fun, good values and the benefit of learning about a culture few have experienced first hand. Highly recommended for tweens and young adult readers or anyone interested in understanding Amish society. Jessica Wyrd is facing her thirteenth birthday. The last year has been extremely difficult for her. Her parents were both killed in an automobile accident down in Georgia. Jessica is now living with her eccentric maternal grandparents in upstate New York. She misses her best friends, Emma and Hank. In school she is the considered the nerdy newbie, the victim of bullying by students and teachers alike. Shortly before her thirteenth birthday, Jessica encounters a spiral light and a green haze. A voice urges her to follow the others who are waiting. She meets Dragateen, Torc and Bo, along with other spirits who tell her to shift into another dimension and make the journey to Kiron. Jessica hesitantly walks through an oak tree and enters, but the dark forces of Sartan are waiting to do battle with this new recruit. Jessica’s journey will lead her to Emerald Pond, Poseidon Pit and mysterious caverns below. She will meet snakes, a slimy octopus, and strange demonic creatures with orange eyes. Jessica has difficulty determining what is reality and what she is experiencing in the “other world.” She receives a special jewel and learns that she bears the mark of the mystic. Still, the decision to use her special powers and whether to become one of the Lightmasters must be her own. Back here on earth, Jessica is homesick for her friends in Georgia. Wells shifts the story to Jessica’s coming of age conflicts and injects lots of humor in describing the trials and tribulations of a feisty thirteen year old who is intelligent far beyond her chronological age and who must deal with the realities of family, school and death. How does she resolve her conflicts and reconcile two very different lives? This book of less than two hundred pages is a well written middle grade fantasy adventure that will appeal to readers age nine and up. Lots of twists and turns in plot, humor, and nicely developed characters combined with the kinds of problems kids this age face daily. As an adult, I enjoyed looking back on my early teens through Jessica’s eyes. NEW RELEASE, INTREPID Sea, Air & Space Museum COMING SOON!